Check out the new TV spot for GONE asking the question, "Is she Crazy". We'll find out when the movie hits theaters on February 24th. 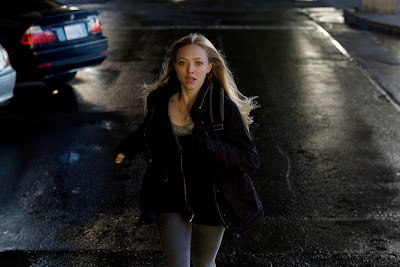 In the suspense thriller GONE, Jill Parrish (Amanda Seyfried) comes home from a night shift to discover her sister Molly has been abducted. Jill escaped from a kidnapping a year before and is convinced that the same serial killer has come back and taken Molly. Afraid that Molly will be dead by sundown, Jill embarks on a heart-pounding chase to find the killer, expose his secrets and save her sister.